You Have a New Kitten, Now What??? 4-6 Months of Age: Your kitten is reaching an age of adolescence and therefore, sexual maturity. This will result in an increase of energy and at times, behavioral changes similar to an adolescent human child entering puberty. How to take care of a kitten during this phase includes continuing hands-on bonding-based playtime with the addition of behavior modification if necessary. There are many ways to enrich your cat's environment which is especially important for indoor kittens. During your next appointment we should discuss ways to build an enriched environment that provides the right amount of stimulation your kitten instinctively desires. Between 4-6 months is the time to plan for your kittens to be spayed or neutered. Most kittens will go through puberty at approximately 6-8 months and it is recommended that they are spayed or neutered just before then to avoid unwanted kittens. 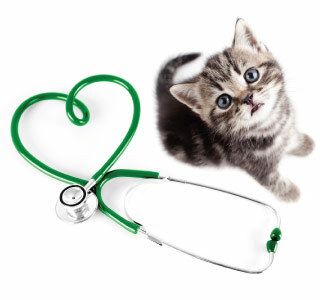 Schedule A Kitten Care Appointment With Lombard Veterinary Hospital Today! At Lombard Veterinary Hospital kitten care is one of our greatest joys. Our veterinary staff would be delighted to spend some time with you and your kitten ensuring that your relationship will be a healthy, happy and rewarding one for many years to come. Schedule your first kitten care appointment today!